This Internet site is owned and operated by Bergstrom Jewelers (“Bergstrom Jewelers”). By using this Internet site, you are representing your consent to the following terms and conditions. (c) such use shall not constitute an infringement of the rights of Bergstrom Jewelers or any third parties (including, without limitation, defamation, or infringement of the right of privacy or right of publicity). Any other use of the content including without limitation the use on a network or on another Internet site is prohibited. All product names of Bergstrom Jewelers referenced in this Internet site are trademarks owned by or licensed to Bergstrom Jewelers, its subsidiaries or affiliates. Except as expressly provided above, nothing contained herein shall be construed as conferring any license or right under any patent, trademark or copyright of Bergstrom Jewelers or any third party. THE CONTENT ON THIS INTERNET SITE IS PROVIDED “AS IS” WITHOUT WARRANTIES OR REPRESENTATIONS OF ANY KIND, EITHER EXPRESS OR IMPLIED, INCLUDING BUT NOT LIMITED TO WARRANTIES OR REPRESENTATIONS WITH RESPECT TO THE ACCURACY, RELIABILITY, COMPLETENESS, FITNESS FOR A PARTICULAR PURPOSE, OR NON-INFRINGEMENT OF THIRD PARTIES’ RIGHTS OF THE CONTENT, OR WARRANTIES OR REPRESENTATIONS THAT THE ACCESS TO THIS INTERNET SITE IS FREE FROM ERRORS OR THIS INTERNET SITE IS FREE FROM COMPUTER VIRUSES. If any of the above exclusions of warranties is unenforceable, the other exclusions listed above will still be given effect to the full extent permitted by that jurisdiction’s law. Bergstrom Jewelers shall not be liable for any damages or injury resulting from your access to or inability to access this Internet site or from reliance on any content of this site. Bergstrom Jewelers reserves the right to make additions, deletions, or modifications to the information on this Internet site at any time without prior notice. Bergstrom Jewelers also reserves the right to withdraw this Internet site at any time, without prior notice. Bergstrom Jewelers shall not be required to respond to any e-mail or other communications. The content of any communications which you send to Bergstrom Jewelers by e-mail or otherwise shall be deemed non-confidential and non-proprietary. 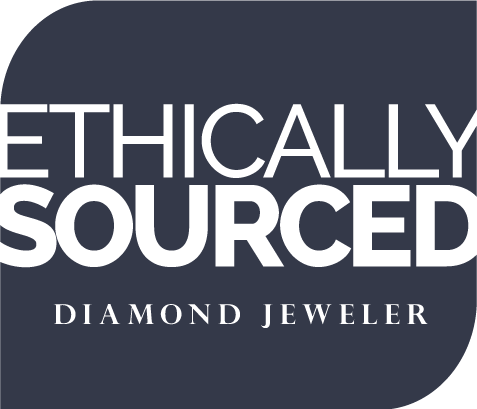 Bergstrom Jewelers and its affiliates reserve the right to use such communications for any purpose and to reproduce, publish and disclose this information to third parties without limitation or compensation. Bergstrom Jewelers and its affiliates also are free to use without limitation and without compensation to you any ideas, concepts, know-how, techniques or the like contained in any communication you send to Bergstrom Jewelers for any purpose, including, but not limited to, developing, manufacturing and marketing products or services. A cookie is a small file which asks permission to be placed on your computer’s hard drive. Once you agree, the file is added and the cookie helps analyze web traffic or lets you know when you visit a particular site. Cookies allow web applications to respond to you as an individual. The web application can tailor its operations to your needs, likes and dislikes by gathering and remembering information about your preferences. We use traffic log cookies to identify which pages are being used. This helps us analyze data about web page traffic and improve our website in order to tailor it to customer needs. We only use this information for statistical analysis purposes and then the data is removed from the system. Overall, cookies help us provide you with a better website by enabling us to monitor which pages you find useful and which you do not. A cookie in no way gives us access to your computer or any information about you, other than the data you choose to share with us. You can choose to accept or decline cookies. Most web browsers automatically accept cookies, but you can usually modify your browser setting to decline cookies if you prefer. This may prevent you from taking full advantage of the website. These terms and conditions shall be governed by and construed in accordance with the laws of the State of Ohio. Any dispute, controversy and/or difference which may arise in connection with these terms and conditions shall be submitted to the exclusive jurisdiction of the United States District Court for the Northern District of Ohio as the court of first instance.